This is a classic. Riding boots never go out of style. Sometimes you want an alternative to the same ol' Adidas/Converse/Puma/Nike merry-go-round. Well, check out the Fred Perry - Oakfield Nylon. The shape is somewhere between a Samba and Rod Laver. They look awesome and the men can style get that international look with the dark jeans and blazer/ sport coat. But I would wear em for a sporty polo dress preppy look. And only $79 @Piperlime, You can stock up on multiples. Amazingly understated, classically chic Margarita from La Canadienne in black croco defines both form and function. Waterproof leather (think of Montreal boot weather) ribbed outer sole, with a microfiber lining that's antibacterial. The inner sole has 3 mm of memory foam for cushion against those city streets. For $344.95@Zappos it's an investment for multiple seasons. Well we all know we love shoes. And we all have a tendency to lust for the big name, three-mortgage-payment pair, as total luxury. Maybe we can learn to appreciate another definition of luxury. So you want to sqeeze out the last bit of fun. The Fullercraft Museum in Brockton Mass. Has show about New England's shoe making history called, "The Perfect fit: Shoes Tell Stories" And judging by the look of this slide show, it's going to be very interesting. It's on through January 3,2010. So sometime between now and then, we should all go. Let me know what you guys think, when you go. 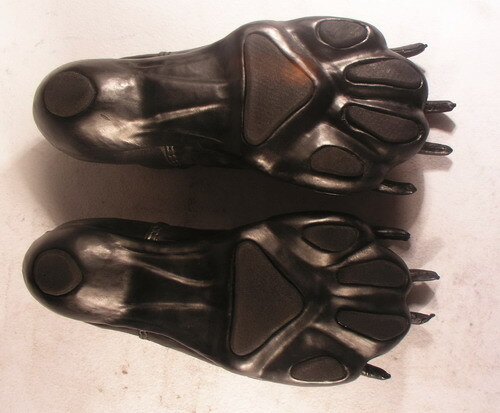 Leather Paw Shoes- Bob Bassett. Are you feeling lycanesque? Wanna get your goth on. 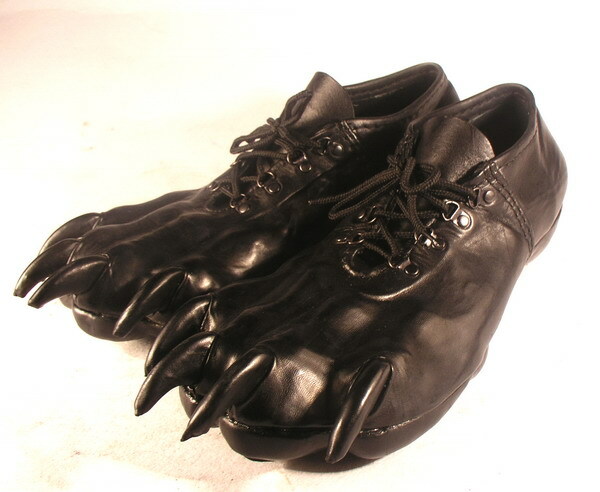 Well when you are, just slide your gothie paws into these creations. From Ukraine based, 20 year leather crafts veteran, Bob Bassett comes the Leather Paw Shoes. I'm a shoejunkie. I love music and dance. In the 90s wrote featues and reviews for dance music magazines. Have shoes will write. So many shoes, so little time.